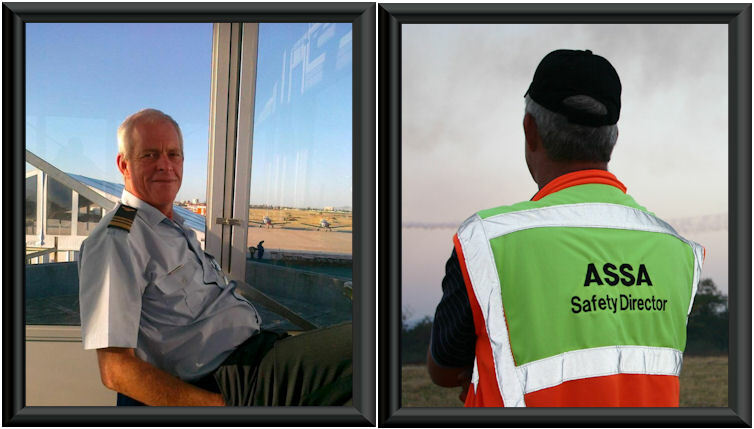 Taking responsibility for safety at an aviation event is not for the inexperienced or the fainthearted but this is nothing new to Lt. Col. Francois Hanekom (Hosepipe) who has been the safety officer at many international aviation events. With significant safety training in both the military and civilian sectors, Hose is the preferred safety officer at military, civilian or combined air shows. As a tall and skinny chap at school, Francois earned his nickname “Hosepipe” and he carries this name with him even now as a highly respected officer in the South African Air Force. Hose never considered a career in aviation and farming was his ambition, but while joining the Air Force to complete his national service, he never anticipated wearing his blue uniform thirty three years later. As part of the Flight Support Centre, Hose is currently in charge of Presidential Air Transport and also serve as liaison officer on these flights. Hose started his flying career in 1980 on the Harvard from where he flew the Kudu, C185, Impala, DC3, Casa 212 and the PC-7 with more than 4000 hours in his log book. Hose is also a category A1 flight instructor with 1800 hours of instruction on the C185, DC3 and PC-7. 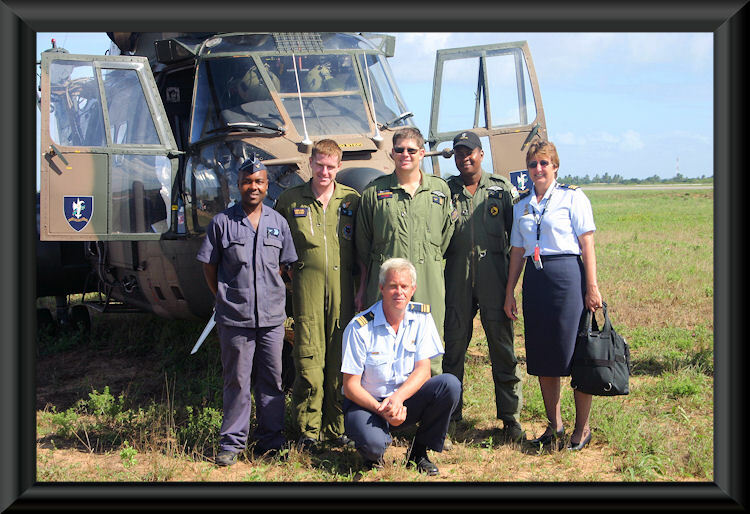 With the introduction of the PC-7 Astra into the SAAF, Hose spent six years at Langebaan to test and develop the training curriculum for this new aircraft and the integration thereof. Very few people know that a military officer is not allowed to act as safety officer at civilian aviation events, nor will a civilian be allowed to act as safety officer at military events. This however is what separates Hose from the rest as he is a military and civilian qualified safety officer after completing the United Sates Air Force Safety Course, the California Safety Institute Course as well as the aircraft accident investigation course, including helicopters and jet aircraft. In our current economic climate this is becoming more important as the cost involved to host air events simply force event organisers (and the SAAF) to combine their funding and efforts. So what is a safety officer and what is his responsibility? As Hose puts it, a safety officer must ensure that every visitor leave the event safely after enjoying it. The public is therefore the safety officer's responsibility and not necessarily the safety of the pilots in the display. Of course he will vet every display routine before the show to ensure that it does not compromise public safety. During the display he will also follow the routine and tries to be one manoeuvre ahead to anticipate or identify potential hazards the pilot may not be aware of. If at any time during the display it becomes clear that the pilot has lost situational awareness, he stops the display with a single command “Knock-off” and a sequence will never be altered while in progress. The safety officer will warn the pilots about the presence of birds (more commonly known as sneakers) flying through the area or any other hazard that may arise during the event. During the show, the safety officer basically has the best seat in the house provided that he planned, implemented and managed all the pre-requirements before the show starts. This includes first aid, clear and available ambulance routes, security services, hospital event awareness and fire fighting & prevention. Statistics prove that there is a 90% possibility of fire in the event of an accident and the safety officer must ensure that fire fighting personnel have unrestricted access to any location if their services are required. All the official requirements such as public liability cover, available airspaces, pilot ratings etc. must also be arranged. During our interview Hose briefly introduced me to Dusty. 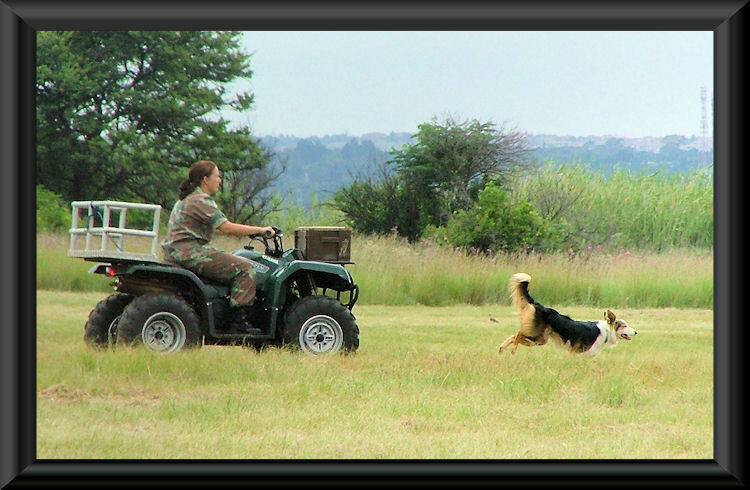 Dusty is trained to chase birds away from the area and she has become an integral part of their preparation and execution of an aviation event. In addition to air shows, Hose also assume the safety responsibility during air force participation at special events such as the Presidential Inauguration and the soccer world cup. 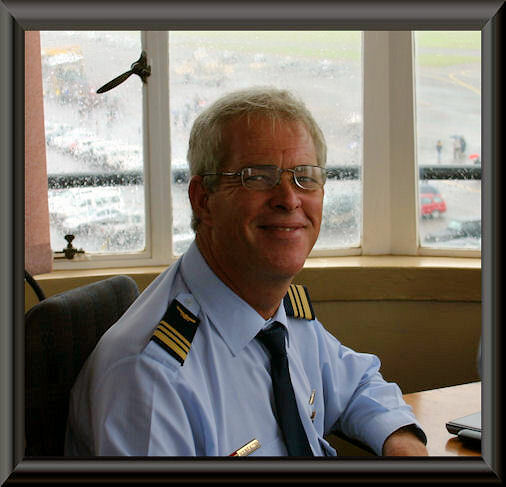 He has earned himself a reputation to be the man for the job when these events are scheduled but sadly this skill will eventually leave the SAAF with Hose as there is simply not enough exposure for the younger officers to gain this skill. 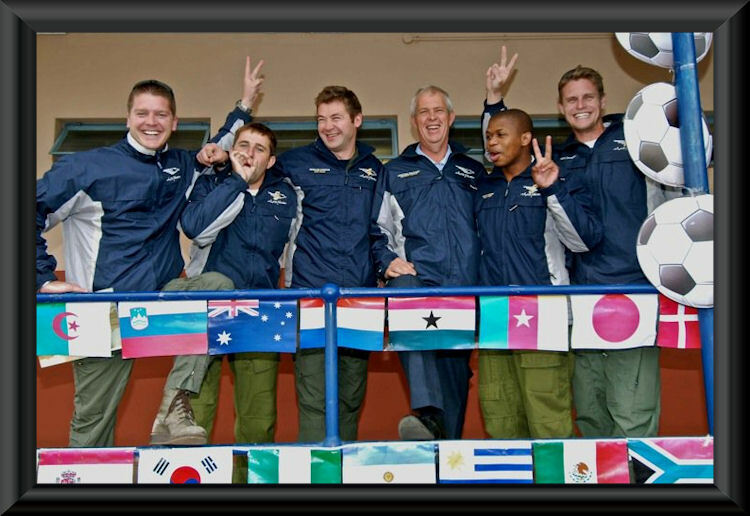 In closing I must say that I am proud to see that there are officers like to Lt. Col. Francois Hanekom in our air force. He is down to earth, always polite, introduces himself with his first name and never fails to honour a commitment. I can see why he is a valued member of Air Show South Africa and why display pilots prefer to work with him. 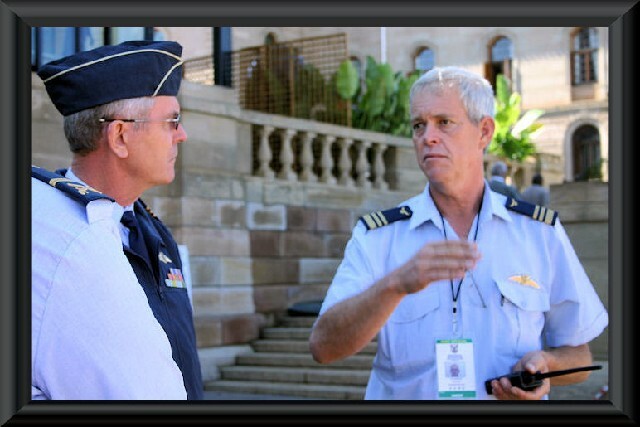 Lt. Col. Francois Hanekom, we salute you! !